British Airways is to offer cheaper fares on selected routes to passengers who travel without checked luggage.The airline says the fares – which will initially be offered on flights from Gatwick to Amsterdam, Dubrovnik, Jersey, Tunis and Turin – will give its passengers “more choice”, and is likely to be viewed as an attempt to compete with low-cost airlines such as Ryanair and Easyjet. “The surprise is not so much that BA has made this move, but that it has taken so long to do so,” said Nick Trend, Telegraph Travel’s Consumer Editor. “It appears to be a reaction to commercial pressure from its no-frills rivals, which quote lower headline fares because they don’t include the cost of checked bags. 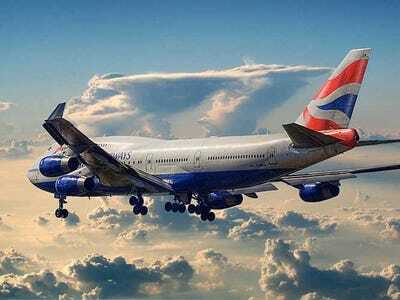 This can make BA’s fares look expensive and so less attractive by contrast. The announcement by BA — which axed free meals on some flights in 2009 in a bid to cut costs — follows KLM’s decision to begin charging customers who check in luggage on short-haul flights. KLM’s policy will be effective from April 22.